Feature It's been more than 70 years since the first successful test flight of the German Vergeltungswaffe 2 (V2) - the weapon that paved the way for subsequent rocket-based efforts to escape Earth's surly bonds. On 3 October 1942, a team headed by Wernher von Braun watched its creation rise from the launchpad at Peenemünde, little suspecting that within three years it would conduct similar test flights for the benefit of the United States. Von Braun's work on the V2 was vital to America's space ambitions, and he successfully guided the country towards the mighty Saturn V, which lifted Apollo missions to the Moon. In the 43 years since Neil Armstrong planted his boots on the lunar surface, we've honed the art of the rocket launch, enabling us to establish bases in Earth orbit, send probes to distant worlds and ring our planet with satellites and telescopes giving a tantalising glimpse into the vast universe beyond our tiny blue marble. However, all of these achievements are underpinned by technology that hasn't changed much since the V2, for all the advances in fuels, materials and electronics. The V2 was powered by a liquid ethanol/water mix and liquid oxygen (LOX). The Russian workhorse Soyuz has, since the 1960s, been lifting payloads with a blend of LOX and kerosene. 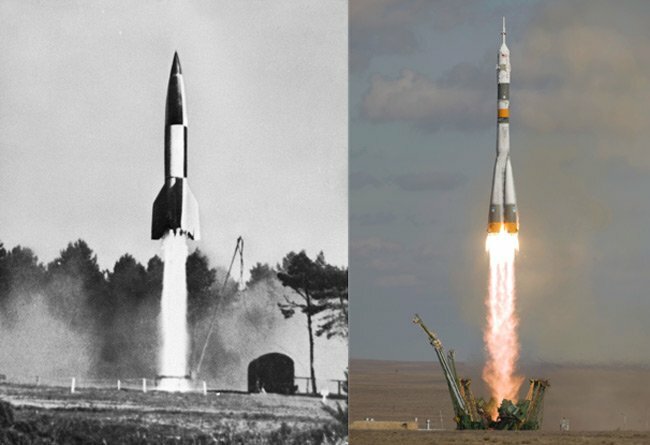 In both cases, the initial propellant/oxidant mass constitutes a large percentage of the total vehicle mass, and this seriously limits the rockets' ability to lift large loads. The use of solid rocket boosters (SRBs) can provide extra oomph, as shown in the US's space shuttle programme, although this "light the blue touch paper and stand well back" approach has its risks. Whether a rocket is powered by liquid or solid propellant - or a combination of both - the quantities of potentially explosive material required just to get off the ground makes vehicles prone to spectacular - and sometimes tragic - failure. The 1986 Challenger disaster was caused by a seal failure in one of the orbiter's SRBs, which in turn ruptured the external liquid hydrogen fuel tank, resulting in a catastrophic explosion. Nonetheless, space agencies worldwide continue to put their faith in rockets, in the absence of a workable alternative. In the next part of our series, we'll look at some theoretical technologies which may one day render the grandchildren of the V2 obsolete. First, here's a quick overview of various current international capabilities. In 2003, the communist state put itself on the orbital map with its Shenzhou 5 mission, becoming the third nation to develop an independent manned-spaceflight capability. "Taikonaut" Yang Liwei was lifted aloft by a Long March 2F rocket burning the hypergolic melange of dinitrogen tetroxide (N2O4 - aka nitrogen tetroxide, or "NTO") and unsymmetrical dimethylhydrazine (UDMH) in four main engines and four strap-on boosters. The final stage packed a single N2O4/UDMH unit. Development of the Long March series began back in the 1960s, based on the country's intermediate-range ballistic missile (IRBM) and intercontinental ballistic missile (ICBM) programmes. The Long March 3 and 4 series - mostly rolled out for satellite launches - also use N2O4/UDMH motors, although the final stage of the 3 variant is reportedly a liquid hydrogen (LH2) and LOX powerplant. The Long March 5, 6 and 7, currently in development, will switch to LOX and kerosene for the main stages, sticking with LH2/LOX for the final stage. 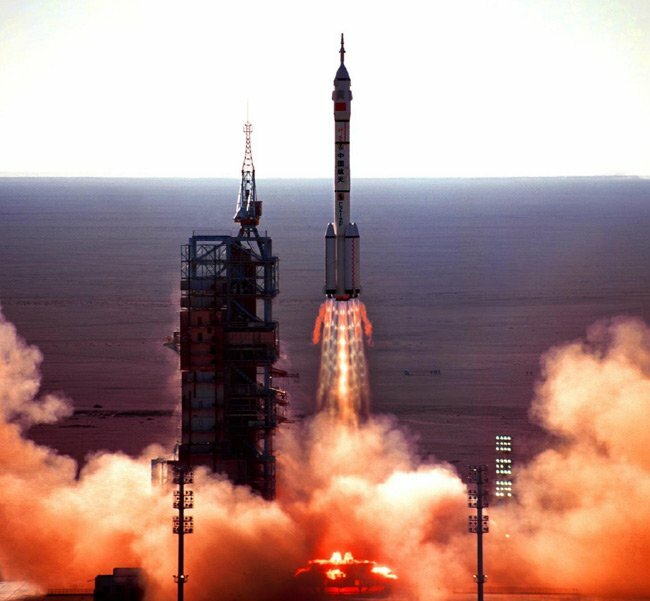 Exact details are not forthcoming, since the Chinese National Space Administration is remaining tight-lipped on its capabilities. Hypergolic rocket fuels work on the spontaneous combustion on contact between propellants, such as N2O4 and forms of hydrazine (N2H4). The engine of Germany's Messerschmitt Me 163 brought together a mix of 80 per cent concentrated hydrogen peroxide and 20 per cent oxyquinoline (T-Stoff) with methanol blended with hydrazine hydrate (C-Stoff) to provoke the required reaction. Such fuels have a reputation for toxicity and instability. Soviet scientists honoured nitric acid plus hydrazine with the name "Devil's venom" for its corrosive and poisonous properties. Although stable, Devil's venom claimed the lives of 92 people in October 1960 at Baikonur test range, when the second-stage engine of a prototype R-16 rocket fired on the launchpad, provoking a massive explosion. The event is the worst disaster in the history of rocketry.